Named by the English in honor of Lord Somerset, the Duke of Beaufort, Beaufort County enjoys its greatest natural resource in the picturesque Pamlico River and the numerous creeks that drain into it. The waterways of the county have for some three centuries served as a catalyst for economic opportunity as well as a setting for recreational activities. 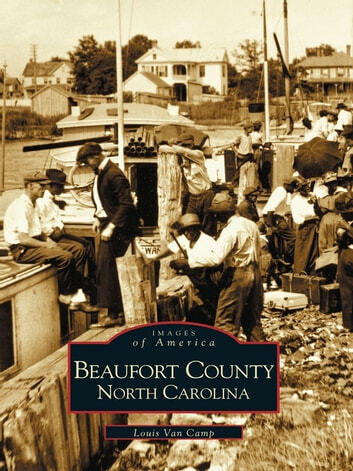 An engaging pictorial retrospective, Beaufort County, North Carolina will introduce readers to several generations of families who settled along the banks of the Pamlico and inland. Vintage photographs reveal these Beaufort County families proudly pictured in their homes, their schools, their businesses, and their places of worship. Family stories, passed down as treasured heirlooms over the years, shed light upon a way of life that has almost vanished in modern America. Natives will recall the splendor of Beaufort County as an early-twentieth-century tourist destination, when the Duke University Blue Devils Band entertained guests at the dance pavilion of the grand old Bay View Hotel. Numerous images depict sites of the early American Indian villages that thrived before the European settlement of the region, the debris and devastation left after the Hurricane of 1913, the commercial fishing fleets that plied the local waters to offer nourishment and economic gain for local families, and the festivals, fairs, and parades enjoyed by Beaufort County residents of all ages. The towns that make up the county and their unique traits are explored and celebrated, while the role of each in the greater development of the county is encapsulated in a story told through charming historic photographs and postcards.